If you have participated in a 401(k) plan where you work, you probably made investment choices when you signed up for the plan and you may have stuck with those investments with few modifications, watching as your account grew, with some inevitable setbacks, over the years. But now you're getting ready to leave the workforce or you're changing jobs. That raises this question: What should you do with that 401(k) at your old job? Option 1. Keep the status quo. Assuming the plan permits it (and many do), you can leave your money where it is, even if you stop working for the company. The plan administrator is legally required to observe the same requirements with regard to your account as it does for participants who are current employees. You, meanwhile, are still subject to the basic tax rules regarding distributions and penalties. For instance, you can't take penalty-free withdrawals from the plan unless you qualify under a tax law exception, such as for payouts to someone who is at least 55 years old and has "separated from service." Also, you're generally required to begin taking distributions once you reach age 70½. But if you choose this option and you haven't adjusted your investment mix in a while, you probably should review the portfolio to make sure it still meets your objectives. Option 2. 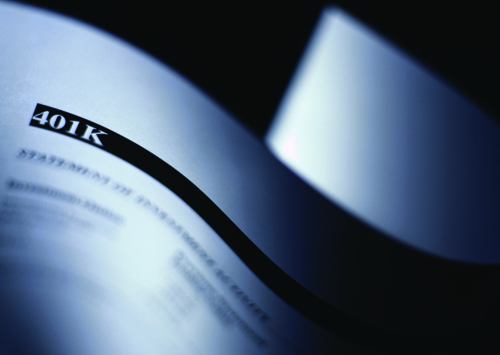 Roll over the assets into a new 401(k). If you're leaving your old job for a new one, you generally can roll over the money in your old 401(k) plan into a 401(k) or another plan provided by your new employer. It can be convenient to consolidate all of your 401(k) assets in one place, or you might prefer the investment options offered under the new plan. In any event, you won't face any income tax liability for making the transfer as long as the rollover is completed within 60 days of the job change. All of the assets you move still will be subject to the usual rules for distributions and penalties. However, if you continue working for this employer past age 70½ and you don't own 5% or more of the business, you can postpone mandatory distributions until you actually retire. Option 3. Roll the assets into an IRA. As when you make a rollover to another employer's retirement plan, you can choose to roll over assets tax-free to a traditional IRA, even if you're retiring for good. The rollover must be completed within the 60-day deadline. To avoid having income tax withheld (which you could recoup when you file your tax return), you can arrange a trustee-to-trustee transfer so that the money never touches your hands. You might decide to roll over the assets into a Roth IRA, rather than a traditional IRA. With a Roth, you'll owe income tax on the amount you convert, but then you'll be in line for future tax-free distributions. And with a Roth IRA, you're not required to take mandatory distributions after age 70½ as you are with a traditional IRA. Option 4. Cash in your chips. 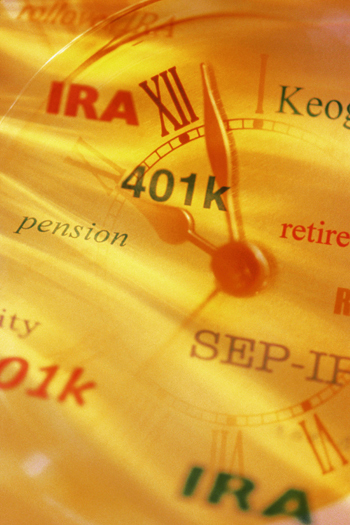 Of course, the money that has accumulated in your 401(k) all of these years is yours to keep. If you really need it now, you can simply take the money, whether you're retiring or switching to another job. But cashing in your 401(k) account when you leave your job means you'll have to pay income tax now on the amount representing pre-tax contributions and earnings. In addition, if you're under age 59½, you'll generally owe a 10% penalty tax on the taxable amount, unless a special tax law exception applies. Finally, you will lose the ability to continue to generate tax-deferred earnings within the cozy confines of a 401(k), traditional or Roth IRA, or other tax-advantaged retirement plan. And you'll have less in your nest egg when you do retire. What's the best option? There is no definitive right or wrong answer. If you urgently need the money, you may be forced to cash in the account now. Otherwise, you may want to stick with one of the other options, or perhaps a combination of a couple of them. We would be glad to discuss the alternatives and help you formulate a plan that suits your situation.